Jack is a 1991 graduate of The University of Georgia, where he received a major in Real Estate with a concentration in Finance. He has over 10 years experience in the mortgage brokerage and commercial banking industries. In 2005 Jack founded and operates Breco Realty (a full service real estate brokerage and auction firm). Jack also co-founded Tax Appraisal Xperts with Jay Moss. Tax appraisal Xperts is a property tax appeal firm that operates in the Southeastern United States. Jack is a licensed real estate broker in the State of Georgia. Bo Benton is a third generation auctioneer and owner of L.W. Benton Company &amp;amp; BidderOne.com. He is a 1998 graduate of the University of Georgia with a degree in Agricultural Economics. He holds his Georgia Auctioneers License, Georgia Real Estate License, Federal Firearm Dealer License and Georgia Used Motor Vehicle Dealers License. Bo holds his Accredited Auctioneer of Real Estate Designation (AARE), which is the highest recognized designation for the Auction of Real Estate. He also holds his CES (Certified Estate Specialist) designation and CAI (Certified Auction Institute) designation. Bo was crowned Georgia State Bid Calling Champion in 2008 and 2010. 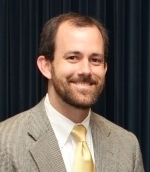 He was appointed to the Georgia Auctioneers Commission by Governor Nathan Deal in 2011. He is a past president and current regional vice president of the Georgia Auctioneers Association and on the board of directors for MarkNet Alliance, a national auction marketing firm. 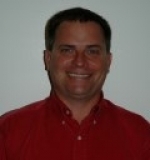 Joey has over 30 years of experience in Real Estate Brokerage Business. He has been a Multi-Million dollar producer &amp;amp; received the Eagle &amp;amp; Phoenix Award from the Lake oconee Board of Realtors. In addition, Joey has been involved in the develpment of several subdivisios in Madison including Saye Creek, Taverns Rest &amp;amp; Centennial Farms &amp;amp; various commercial &amp;amp; industrial projects which include Lowes, Wal-Mart, Rite Aid &amp;amp; CR Bard. In 2005, Joey was names business person of the year by the Madison Morgan County Chamber of Commerce.